Terrorism is one of the worlds most threatening form of violence against people and the societies at large (Khan). 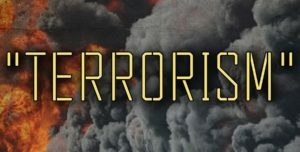 The world nations are spending billions of dollars to fight and bring under control the acts of terrorism through all the means possible including offering educational enlightenment on the acts and the consequences of terrorism to young men and women. The big question “what exactly is everyone supposed to do in the war against terrorism?” In the realm of Global wars, we should be able to distinguish it from other forms of metropolitan wars like the war on drugs and war on poverty. To distinguish it let’s consider Alex’s definition of terrorism which states that it is a politically motivated anxiety method that incorporates the acts of violence perfumed by a group of people or an individual to gain publicity. The human victims of this type of violence are chosen at random to serve as message generators aimed at fathering a political, ideological goal. People have a deferent view of the motives behind terrorism in summary according to the FBI 2002/2005 reports and publications we analyzed the general reasons why terrorism exist as follows. Ethno-nationalism- this is the urge of a group of individuals to break away from the ruling power. The habit gained root in the 20th century when most of the colonized states where attempting to acquire independence. One of the results of ethnonationalism activates that has yielded to terrible terrorism activities is the formation of the Hamas a political and terrorist militia group that is known for suicide booming. Secondly it religion is thought to be the most common reason why terrorism exists. Looking back at in history Jewish Zealots used to kill Romans in public for religious reasons(Khan). As from the current situation religion, especially the Islamic fundamentalism at some point has driven terrorism to the next level with cases like the global Salafi Jihad revivalist movement. Finally, terrorism exists due to political grievances. In such a state the population lacks a political inclusion causing them to form terrorist groups. Are there ways that can effectively stop terrorism? The answer is yes. One of the most effective ways to control or stop terrorism is cutting their source of funds. A terrorist group has individuals with bills, needs to buy weapons, need to buy food staff and many other demands. Without funds, it may be difficult for a terrorist group to operate. The states within terrorism prime areas should spend more time and resource to improve their people’s life rather than funding the terrorist groups. Additionally, the world nation should beware no to support dictators who fund terrorist (Crenshaw, Martha.). In a situation where a dialogue on negotiations has been called the parties involved should be ready to persuade it. According to security experts in terrorism prime areas waging war weakens the governing state hence increases terrorism (Pape). To other states should involve the public as much as possible to enable they report any suspicious behavior. A good example is the Singapore security systems which have an additional public warning system that raises awareness and provides training in dealing with potential terrorist. Finally, the formation of an anti-terrorism group has proven to be very effective in terrorism. This incorporates heavily trained agents that have experience in prevention and responding to threats associated with terrorism. Terrorism activities are unique hence special skills, equipment tactical advantage and supervision is of paramount importance in combating the acts. A good example is the United Nation’s initiative to globally counter-terrorism through the formation of the Counter-Terrorism Implementation Task Force (Keohane, Daniel). Khan, Nida. “Definitional Issues Of Terrorism – Rise Of Islamophobia.” SSRN Electronic Journal (2013): n. pag. Web. Schmid, Alex. 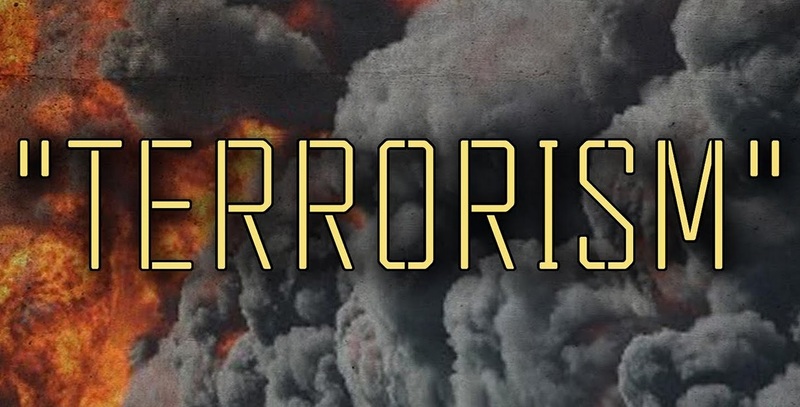 “Terrorism-the definitional problem.” Case W. Res. J. Int’l L. 36 (2004): 375. “Terrorism 2002/2005.” Federal Bureau of Investigation. N.p., 2017. Web. 28 Nov. 2017. Pape, Robert. “It’s The Occupation, Stupid.” Foreign Policy. N.p., 2010. Web. 28 Nov. 2017. Keohane, Daniel. The EU and counter-terrorism. London: Centre for European Reform, 2005. Crenshaw, Martha. “The causes of terrorism.” Comparative politics 13.4 (1981): 379-399.